Our replacement windows are not only beautiful, but will save you money on energy bills as well. Offering the widest selection and highest quality, choose from Homecraft® vinyl replacement windows or Andersen® wood replacement windows for peace of mind. When you want to make an impression with a beautiful front door, consult with Homecraft® Inc. Our durable entry doors as well as interior doors and patio doors are unmatched in value, beauty and price. Plus, we also sell weather-resistant storm doors to protect your home. You don’t get quite this large of a selection when it comes to siding materials, textures, styles and colors from anybody else. For the best prices and services in Glassboro NJ, choose cedar shake siding to complement the look and décor of your frame-built or Cape Cod home, or install sleek vinyl siding for a streamlined appearance. Our roofs come with the industry-leading “Golden Pledge™” warranty protection, installed by contractors who are highly trained in the best installation techniques and materials. Relying on our GAF Master Elite contractors for your Glassboro NJ home is a no-brainer. Your gutter system should work in tandem seamlessly with your roof to provide efficient water run-off that won’t cause clogging, standing water and leaks. Our gutters will ensure you never have to deal with a bad clog again! Making an investment in your home could involve adding a room, a garage or a loft. Whatever the case, Homecraft® Inc. is here to help with a skilled and experienced team of professionals to give you inspiration, designs, and top quality installation. We do whatever you need: replace worn parts, repair damage, and make home improvements with your comfort in mind. 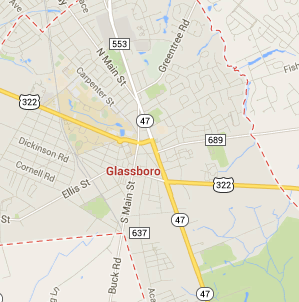 FREE Estimates on Glassboro NJ Home Improvement, Windows, Doors, Siding or Roofing. Call Homecraft®, Inc., today at 1-877-494-0377 to schedule a FREE in-home consultation and estimate for your Glassboro NJ home improvement project, roofing, siding, replacement windows, doors, or gutters.